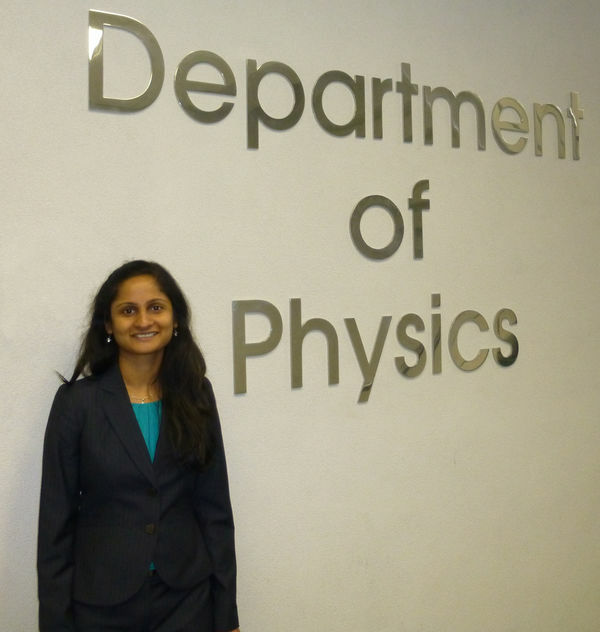 The 2015 Graduate Student Research and Dissertation Award has been given to Darshana Patel, Ph.D. The award recognizes the best thesis of the year in the Department of Physics. Patel’s thesis was titled “Study of Isoscaral Giant Monopole Resonance to Explore the Role of Symmetry Energy in Nuclear Incompressibility in the Open-Shell Nuclei and its Future Prospects.” She was advised by Prof. Umesh Garg. Patel’s thesis was also recognized by Springer Theses as the “best of the best.” See full story on the Springer award. Originally published by Shelly Goethals at physics.nd.edu on May 22, 2015.